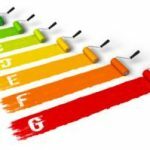 2013 has seen the introduction of new EU energy efficiency labels for air conditioning units; however in stores these can be found side-by-side with older labels. 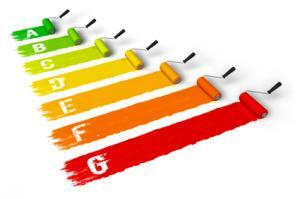 Read on to see how the new rating works and how you can save money by buying units that consume less. Previously air con was classed from A to G, but the new rating is A to D and introduces A+, A++ and A+++ (effectively the number of energy ratings is the same: 7). Labels have also been adapted to depend more on graphics to convey information rather than text. The new system continues to include the nominal power for both cooling and heating in kW, however a new addition is the cooling efficiency calculated for 4 different temperatures and the heating efficiency for 3 different climate areas in Europe. These ratings are termed SEER: Seasonal Energy Efficiency Ratio; the higher the number the greater the efficiency and hence higher energy (and monetary) savings can be achieved. Energy consumed whilst the machine is on standby is also shown and is calculated on 350 hours for cooling and on three different heating scenarios. Regarding the noise level produced by the machines, older labels only included the noise produced by the indoor units, whereas new labels also include the outside units. Changes have been introduced as labels hadn’t kept up with advances in technology. The first labels classed as “A” those machines that had a rating of 3.2, but when Inverter air conditioning reached the market most models already had an average 4.5 rating – well above the level needed for class A. As technology is still improving, this has prompted the introduction of the three new rating classes. Consumers should take care, however, when checking the new labels as the ratings shown along with a map of Europe may be based on average temperatures in central Europe that are not as extreme as those in Spain, so you may find that your usage leads to a higher than expected expenditure. What’s really confusing about these new labels is that they haven’t been adopted across the board for all electrical appliances. This means that in stores you can find two different scales for different appliances and this can give the impression of a better (or worse) energy rating. Put down your window blinds and sun canopies to stop the heat coming in during the day. If you select a temperature of around 5 degrees below the outdoors temperature you should note that the room is cooler. When temperatures are extreme outside, air con set at 24 to 26 degrees will ensure comfort – there’s no point putting on the air con and then having to wear a jacket! Units will work more efficiently if you make sure that the filters are cleaned regularly.